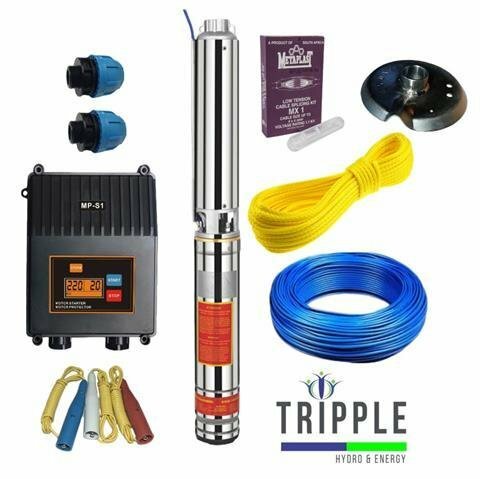 LEO 4SR1-13 Borehole Pump Combo, Submersible multi-stage borehole kit for South African conditions. Combined with a LEO 4SR1-13 series wet-end with built-in non-return check-valve. High performance oil cooled submersible Omega motor for optimum operation and lifespan. The LEO borehole pump range adopts a AISI 304 stainless steel casing with very durable “floating impellers”. The Impellers are made of American “Noryl” materials. 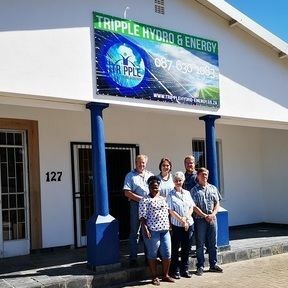 The combo comes complete with a 0.37kW 230V motor, pump, steel base-plate, 2 compression fittings, splicing kit, 50m submersible cable and standard direct online controller.